Updated TAG fit system is an improvement on Original item-extending life for my Volt helmet. The updated TAG Fit System for Bell Helmets increases the opportunity to extend the 'working' life of your helmet, in my case a Bell 'VOLT. The small ratchet wheel on the updated model is of better quality and makes for easy adjustment, either when stationary or whilst riding. The replacement of the TAG is very simple and with fine adjustments should take only 12-15 minutes. As a side issue, the Australian Importer does not stock or recommend the replacement of the TAG system! this is the reason I purchased from Western Bike Works- whose service was impeccable. It should be perfect since it's the only replacement part available. 5-minute job to replace and you're good to go. My existing retention system had broken and I was going to purchase a new helmet. 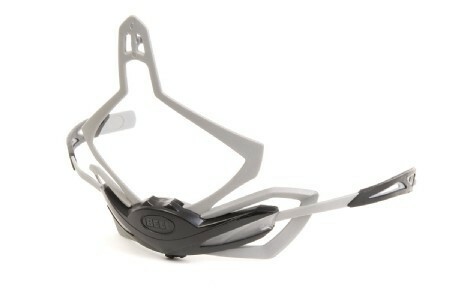 I then found this replacement product which save me from having to buy a new helmet. Installation was a breeze and my old helmet works like new. OEM replacement part. Mine broke and needed to be replaced. Purchased this and had no issues installing it. I was riding within 10 minutes and couldn't be more pleased. Western Bike Works shipped the item quickly and I had it in no time. I would highly recommend this item as an alternative to replacing a helmet if yours breaks and I would highly recommend Western Bike Works. Saved me from buying a new helmet. Saved me from buying a new helmet. Make sure you document how to re-thread the straps. This item saved my helmet. My helmet is fairly new but the TAG fit system cracked. The availability of this item saved my helmet. After breaking the plastic retainer on my Bell Sweep, I was ecstatic to find a replacement available for a small fraction of the price of a new helmet. It was easy to install and kept me from breaking the bank on another helmet.